Bagcraft heavy grease proof pan liner with premium silicone 35gs 3 star. 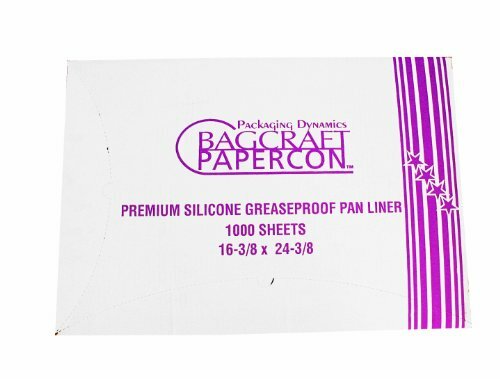 Made from grease proof paper with silicone release. Excellent for medium to high temperature baking applications that require superior release. Measures 24-3/8-inches length by 16-3/8-inches width. BagcraftPapercon has been a key resource within the foodservice packaging marketplace since 1948, helping enhance the quality, preparation and presentation of food products worldwide. As the market leader, BagcraftPapercon offers the industry's broadest range of specialty bag, sheet and roll-converting capabilities to meet a wide variety of packaging applications.